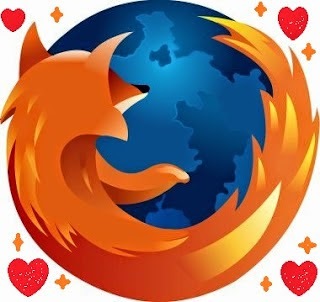 Firefox is one the most secured web browser in the world. Have you ever dreamed of that we can use Firefox to Hack like a pro? Firefox like other browsers has a feature called add-on. Add-ons adds an additional functionality to your Firefox browser. There are thousands of Firefox add-ons available for Mozilla but Hackingloops brings you the best and most effective Hacking add-ons ever on Firefox. In short, we are listing a most popular and interesting Firefox add-ons that are useful for Hackers. This list of 11 add-ons vary from information gathering tools to attacking tools. All these add-ons are available for free and you can download from the Mozilla add-on website. So friends lets see what Hackingloops has bring this time for you. I will list them in way from top( I like most) to bottom pattern but note that all of them are extremely good tools. Tamper data is an great tool to to view and modify HTTP/HTTPS headers and post parameters. 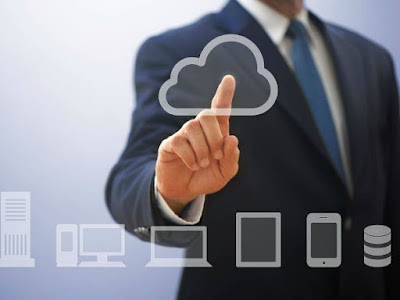 We can alter each request going from our machine to destination host with this. Thus it helps in security testing web application by modifying POST parameters. It can be used in performing XSS and SQL Injection attacks by modifying header data. Hackbar is a simple penetration tool for Firefox. It helps in testing simple SQL injection and XSS holes. You cannot execute standard exploits but you can easily use it to test whether vulnerability exists or not. You can also manually submit form data with GET or POST requests. It also has encryption and encoding tools. Most of the times, this tool helps in testing XSS vulnerability with encoded XSS payloads. It also supports keyboard shortcuts to perform various tasks.I am sure, most of the persons in the security field already know about this tool. This tool is mostly used in finding POST XSS vulnerabilities because it can send POST data manually to any page you like. With the ability of manually sending POST form data, you can easily bypass client side validations of the page. If your payload is being encoded at client side, you can use an encoding tool to encode your payload and then perform the attack. If the application is vulnerable to the XSS, I am sure you will find the vulnerability with the help of the Hackbar add-on on Firefox browser. No Script add-ons greatness is beyond imagination. With this tool you can monitor each an every script running on website, you can block any of scripts and see what actually that scripts does on website. But this add-on is for experts, newbies will face problems using this. Note: If you are testing XSS, HTTPS header modifications, Injection attacks on any website you need to disable this plugin because it will not allow you to do so. User Agent Switcher add-on; adds a one click user agent switch to the browser. It adds a menu and tool bar button in the browser. Whenever you want to switch the user agent, use the browser button. User Agent add on helps in spoofing the browser while performing some attack. SQL Inject Me is another nice Firefox add-on used to find SQL injection vulnerabilities in web applications. This tool does not exploit the vulnerability but display that it exists. SQL injection is one of the most harmful web application vulnerabilities, it can allow attackers to view, modify, edit, add or delete records in a database.The tool sends escape strings through form fields, and tries to search database error messages. If it finds a database error message, it marks the page as vulnerable. Hackers can use this tool for SQL injection testing. Cross Site Scripting is the most found web application vulnerability. For detecting XSS vulnerabilities in web applications, this add-on can be a useful tool. XSS-Me is used to find reflected XSS vulnerabilities from a browser. It scans all forms of the page, and then performs an attack on the selected pages with pre-defined XSS payloads. After the scan is complete, it lists all the pages that renders a payload on the page, and may be vulnerable to XSS attack. Now, you can manually test the web page to find whether the vulnerability exists or not. Last but not the least. Passive recon is a good information gathering tool. PassiveRecon provides information security professionals with the ability to perform "packetless" discovery of target resources utilizing publicly available information. It gathers information like DnsStuff tool available on backtrack. That's all for today guys, i hope you all are enjoying your journey towards becoming a Professional Hacker. Have fun! Keep Learning.